What I was thinking was to find out whether he was in an apartment building or in a residential neighborhood. If I can keep him talking and keep him distracted from doing anything, like getting in the car and driving to the Regional Office. Actually, Olson will never get to meet this caller, or any of the other dozens of Veterans she helps each night she works at the center. Giving up the face-to-face interaction was an adjustment from her 32-year nursing career, but Olson has learned to be grateful for the temporary bond over the phone. “Thank you for calling the veterans crisis hotline,” Olson says as she copies down the phone number off of caller ID and starts making notes in the computerized and hard copy tally sheets. 1-800-273-TALK (8255) or go online to VeteransChat. As a responder, Olson is not without a supportive network of her own. There is always a co-worker or supervisor nearby to talk through a difficult call. Olson says thinking of her two sons on active duty in Iraq and her own father’s service during World War II means some of the calls hit close to home. She doesn’t shy away from that insight. “It has given me a deeper understanding, nothing major, nothing secret, just a better understanding. “I’ve lived through the Gulf War and marriage and parents who have died of old age and seen friends die of cancer and gone on weird vacations. I try to give something of a personal nature back to them to draw them out of themselves and bring them back to themselves. “It’s not only what someone is saying; it’s the tone of their voice, it’s the pressure. If they have difficulty speaking they might have TBI (Traumatic Brain Injury). You listen to their speech, their tone, their tone quality — if it’s angry, ambivalent, relaxed. You can pick up an awful lot of emotion [over the phone].) If they sound better at the end of the call than they did in the beginning, then I feel like they will be all right. They’ll be OK until the next time they call or until their next therapy. Olson was able to get the police to her first caller in time. When the Veteran’s wife called the next day to say thank you, she was elated. “I feel very strongly about taking care of these guys. How could you not care for someone who’s that hurt? I think they deserve to be taken care of as people who have taken care of us. We may not even be aware of what they’ve done. The primary VA Crisis Hotline is in upstate Canandaigua, NY. Overflow calls are routed elsewhere and just last month, it became necessary to open another call center in Oregon to handle all of the calls. The VA Crisis Hotline used to be called the VA Suicide Prevention Hotline. The name was changed a year or so ago, to help encourage vets to call when they were in "crisis" and before they checked out. 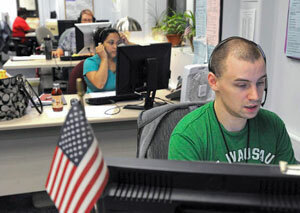 Most of the people who staff these call centers are very good at what they do, empathetic and caring. Some are not so good and believe that it is still a Suicide Prevention Hotline only. I spoke with the director of the call center after encountering one of the latter and she apologized for that staffer's misinformation and the way she had badly handled my call. The Asst. Director's name is Caitlin Thompson, Ph.D and she is second in command over the national VA Crisis Hotline. When I spoke with her recently by telephone, (585) 394-2000 ext. 37477 her first question to me was how did you get my telephone number, which indicates to reasonably minded people that that she does not desire to do her job or be held accountable. Know this though, if you tell them you are suicidal, have a plan and the means to carry out that plan, your local police will be at your door in minutes. You will be taken to a facility, stripped naked, given a gown-type garment to wear, held in solitary confinement and evaluated. No, this has not happened to me, but it is the protocol. It is up to you to decide whether the cure is worse than the disease. Some of the staffers I have spoken with previously are Vietnam combat vets and a woman whose husband died from exposure to Agent Orange in Vietnam. Some of the staffers are paid employees and some are volunteers. 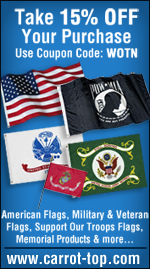 They have the capacity to view your VA medical records. Speaking of VA medical records... It's a good idea to review your records for accuracy. If you find an error, you can complete a Patient Amendment Request Form and submit it to have the inaccurate information changed. I have a friend who became homeless because he needed combat-related knee surgery (was unable to walk, so he lost his job) and his VA surgeon falsely stated in his medical records that he declined the surgery, which was a total lie. Once he found out about the lie, the VA finally did the surgery and he can walk and work again. One final warning- there is an organization called Volunteers of America (VOA), that is affiliated with the VA. If you are a homeless vet, they will help you find housing, employment and/or assistance with filing for disability benefits. However, they presume that all homeless vets became homeless as a result of drug and alcohol abuse and treat you accordingly (like a child). You will be drug-tested by your local VA Clinic and alcohol tested by VOA staffers at least weekly. Being homeless as a result of the "economy" is not on their radar. You are not allowed to leave their property without permission and you are not allowed to have access to a car. You will be given a bus pass to get to work or they will buy you a bicycle to ride to work. You are also required to participate in AA/NA even if you have never had a problem with alcohol or drugs. This is a highly structured program that is similar to jail. If you fail to adhere to any of their oppressive dehumanizing conditions, they will toss you into the street like a bag of trash. Some of their staffers (who are in charge of you for the duration of your stay) are former alcoholics and crack-heads with little or no formal education.